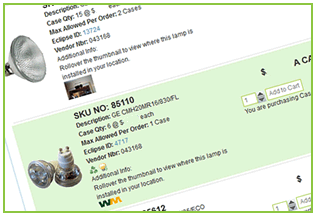 Lamp management application for customers of Loeb Electric. RightLight gets a face lift. RightLight has been re-designed to take advantage of the latest browsers and newest web technologies. The results are a more linear design that provides a better flow of information. 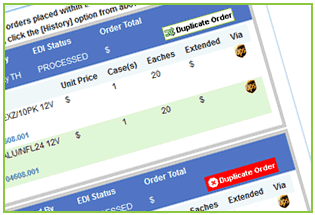 You will now be able to duplicate past orders, indentify incomplete shipments and track shipments all from the Recent Orders tab. 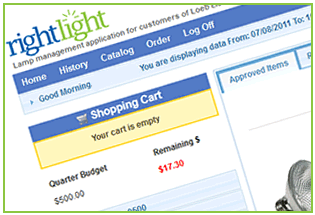 Since RightLight knows what your store needs, it now knows what your store uses most. With volume sorting, RightLight learns from your buying patterns and shows those items first so you don't have to hunt for what you need every time you use the site. Need details? 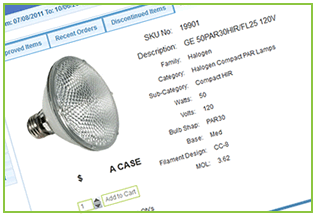 RightLight now provides you with general manufacturers specifications like lamp life, wattage and voltage. It also lets you know if it passes DOE 2012 Regulations.